For exclusive news and updates from our firm, please sign up here! Clarkson Law Firm, P.C. is dedicated to consumer protection in corporate America. We are committed to raising the floor of truth-telling by big business and leveling the playing field between individuals and large corporations. Our trial lawyers fight every day to make sure consumers are protected against deceptive food, beverage, and cosmetics companies, greedy insurance companies, unscrupulous pharmaceutical manufacturers, and other corporate wrongdoers who prioritize profits over people. We provide professional representation with integrity, experience, knowledge, and tenacity. AT CLARKSON LAW FIRM P.C., WE CHAMPION CONSUMER PROTECTION RIGHTS AND PROSECUTE CASES ON BEHALF OF INDIVIDUALS, CONSUMER CLASSES, AND HONEST COMPANIES FACED WITH A WIDE RANGE OF FRAUDULENT BUSINESS PRACTICES AND UNFAIR COMPETITION. With the help of our experienced Attorneys, consumers and ethical businesses are not helpless against deceptive business practices. Clarkson Law Firm P.C. understands fraud protection and defends against mistreatment of consumers and businesses by insurance carriers. Our team of attorneys have vast experience solving complex business disputes and providing guidance to successfully resolve matters. 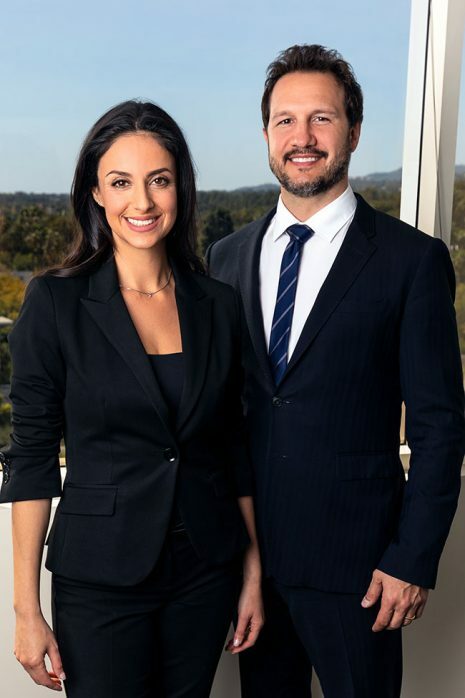 OUR TEAM OF LEGAL PROFESSIONALS IS COMPRISED OF THE BEST CONSUMER PROTECTION TRIAL LAWYERS, PARALEGALS, LAW CLERKS, AND LITIGATION SUPPORT SPECIALISTS IN CALIFORNIA. Meet the proud owners of Clarkson Law Firm, P.C. Ryan Clarkson, founder and managing partner, opened the firm in 2014 with the vision of creating a team of lawyers and other dedicated advocates who would promote and protect the interests of the people. Shireen Clarkson, driven by her own passion for justice and consumer advocacy, partnered with Ryan in 2015 and co-leads the firm’s consumer class action practice. Ryan and Shireen believe that consumers should have a voice and feel empowered to make a change wherever justice calls for it. CLARKSON LAW FIRM TAKES GREAT PRIDE IN GIVING BACK TO THE COMMUNITIES WE SERVE AND WE ARE CONSISTENTLY PARTNERING WITH VARIOUS CHARITABLE ORGANIZATIONS. We help various communities by encouraging our attorneys and staff to participate in a broad variety of volunteer services, charitable auctions, to assume leadership positions in a variety of civic organizations, and to serve in leadership positions at various bar associations throughout California. Whether it’s volunteering at the Venice Family Clinic for children, helping feed the homeless, or supporting education, Clarkson Law Firm believes in giving back. Clarkson Law Firm is consistently partnering with different non-profit organizations to help deserving individuals and communities throughout Los Angeles. Clarkson Law Firm is your answer for strong, competent legal representation. Whether you have a general question or are ready for a preliminary case evaluation, our team is here to support you.